The aviation sector in India seems to be obsessed with big numbers. The large aircraft orders by domestic carriers continue to grab headlines with the most recent announcement by low-cost carrier (LCC) SpiceJet. The aviation sector in India seems to be obsessed with big numbers. 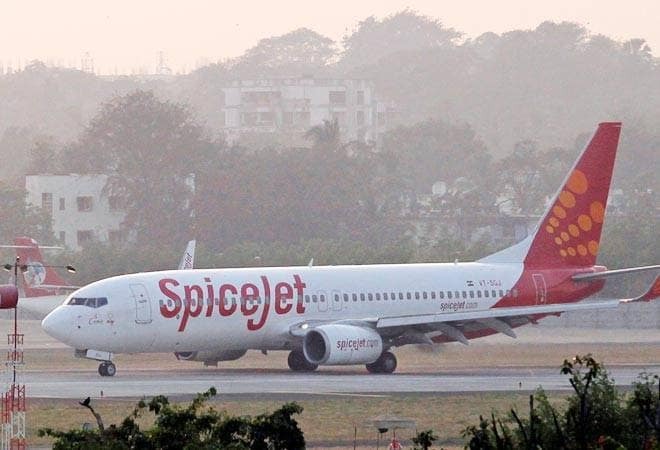 The large aircraft orders by domestic carriers continue to grab headlines with the most recent announcement by low-cost carrier (LCC) SpiceJet. The airline has announced a deal to purchase 205 airplanes from Chicago-based aircraft manufacturer Boeing for a whopping $22 billion or Rs 1.5 lakh crore. The deal has two components: firm order for 155 B737-8 MAX and purchase rights for 50 B737-8 MAX and wide-body aircraft. Out of 155 aircraft, 55 are carried over from its old orders. SpiceJet chairman and managing director Ajay Singh had been vocal about placing 100-aircraft order with either Toulouse-based Airbus or Boeing since the airline's turnaround. It is now obvious that he has got a better deal with Boeing. Singh took over the reins in early 2015, and since then, the airline has turned profitable - making a profit of Rs 1 crore per day since the takeover. SpiceJet's mega-order reminds of an even larger order placed by IndiGo in October 2014 with Airbus to purchase 250 single-aisle A320neos. That deal continues to be the single-largest order placed by any airline in terms of number of aircraft. In 2011, IndiGo had placed orders for 180 planes with Airbus which was the biggest order in commercial aviation history at that time. But do placing large aircraft orders make sense? During the time of deal announcement, Singh said that his aircraft acquisition cost is lower. Typically, the airlines place large orders so that they get can better (discounted) rates. In India, LCCs like IndiGo and SpiceJet follow sale-and-leaseback model which enable them to sell new aircraft to lessors and lease those aircraft back. Singh also said that he is evaluating all options, including sale-and-leaseback model and financing - because the interest rates are low across the world. An argument in favour of large orders is that both Airbus and Boeing have large waiting periods, and therefore, it is almost impossible to buy planes "off-the-shelf". The airlines have to place orders well in advance, and it takes 2-3 years before the deliveries begin. For instance, Airbus has a backlog of 6,874 aircraft till last December; Boeing's backlog is 5,612 aircraft till last September. Within this, single-aisle B737 has the highest backlog of 4,350 aircraft. However, the airlines always have the option to lease aircraft from lessors. The downside of such a move is that the planes are typically not brand new (as against the case of sale-and-leaseback), and that could push up overall maintenance cost. In a September 2015 interview to Business Today, Aditya Ghosh, president of IndiGo, had said that sale and lease back model was more expensive than finance lease. If SpiceJet chooses to go for sale-and-leaseback option, the economic benefits of buying in huge numbers might wither away. The other option for SpiceJet is to take loan from Exim Bank (as mentioned by Singh) to finance these aircraft but that would result in leveraging the balance sheet. The only way these multi-billion dollar orders could help airlines is building strong brand perception in the minds of investors. IndiGo's 250-aircraft almost lapsed because the airline could not go ahead with the deal. In October 2014, it signed term sheet with Airbus which expired in 2015. Just before its IPO, IndiGo decided to firm up the order. In the case of SpiceJet, its stock price registered a meager jump of 2.5 per cent on the Bombay Stock Exchange on January 13. It worked for IndiGo but not for SpiceJet. IndiGo has benefitted from its first large order in the past. For instance, it made a killing by placing order of 100 Airbus A320 at the 2005 Paris Air Show. It turned out to be a profitable deal; IndiGo was able to sell those planes at a significant profit to lessors. The worst that SpiceJet can do now is to add wide-body aircraft to its fleet. Singh said that the airline could look at introducing wide-body (Boeing) aircraft for starting low-cost long-haul international flights in future. Globally, the LCC model has succeeded because most LCCs have single-type aircraft fleet that keeps financial and operational complexities down. SpiceJet, even though it is an LCC, has two types of aircraft - Boeing 737s and Bombardier Q400s. Having a two-type aircraft fleet was one of the main reasons for SpiceJet to run into troubles in 2014. Falling into the trap of multi-type aircraft could prove to be risky.